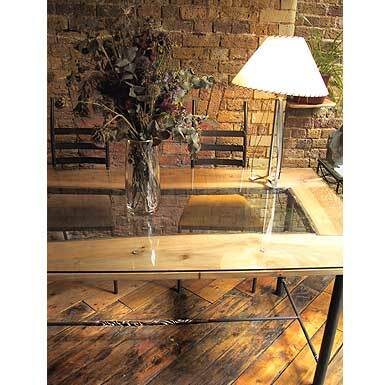 The photograph featured is a 6' x 3' (1830mm x 915mm) rectangular top made from English Elm with a glass overlay. Alternatively a smaller glass piece can be inserted to sit flush with the top of the wood. 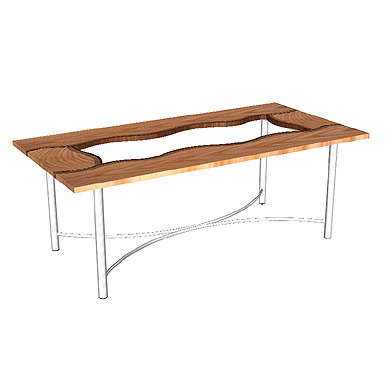 The base shown is a quad base with a straight tie bar and a forged detail. The sizes can be varied to suit your requirements. To see an example of a waney frame mirror click here.